Next Can Kavanaugh Be Kept Off the Supreme Court? At a San Juan conference, AIDS United is honored for its hurricane relief efforts. This post is written by Paola Barahona, MPH, senior program manager at AIDS United. Last weekend, I had the opportunity to attend Lazos Creando Fuerzas (Connections Creating Strengths) in San Juan, the fifteenth conference of Puerto Rico CoNCRA, a community organization serving Puerto Ricans living with and affected by HIV. The annual event updates health professionals (including physicians, nurses, social workers, psychiatrists, and pharmacists) as well as the public on the latest in HIV treatment, care, and prevention. Last year the conference was cancelled after the tremendous damage from hurricanes Irma and María, so this year’s was an especially significant event. Unlike previous conferences, PR CoNCRA opened the conference with an awards ceremony recognizing and thanking four organizations for their support in helping communities and organizations address the needs of people living with and at risk of HIV in Puerto Rico. AIDS United was recognized for our HIV Hurricane Relief Effort that has funded 20 grants in Puerto Rico totaling almost $708,000. The other organizations awarded were Cicatelli Associates Inc., PROCEED, Inc., and Bill’s Kitchen. 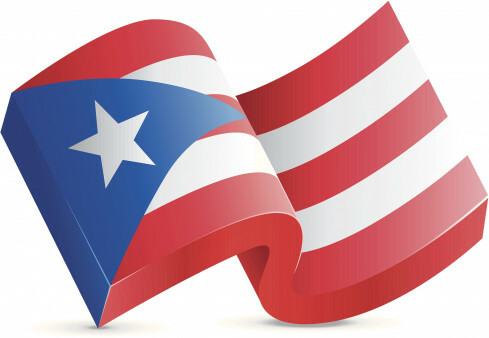 AIDS United maintains a commitment to addressing HIV in Puerto Rico. Over the past year, we have awarded 30 grants totaling almost $2 million to organizations in Puerto Rico*. These grants support transgender leadership and health, syringe access, Medication Assisted Treatment for opioid addiction, access to HIV care, and organizational and leadership development. We have also provided extensive capacity building and technical assistance to HIV organizations on the island, supported PR CoNCRA’s participation on the Public Policy Council, and sponsored a delegation of seven people to attend AIDSWatch 2018 from Puerto Rico. At the closing of Lazos, PR CoNCRA announced their new name: Puerto Rico Community Network For Clinical Services, Research And Health Advancement (PR CoNCRA). The name is the result of AIDS United’s Sector Transformation support to help the organization expand their mission beyond HIV and to address broader health needs of their clients, their families, and their community. Looking ahead at our continued work in Puerto Rico, AIDS United looks forward to holding a transgender think tank on the island (read the consensus statement from our last think tank in Detroit), and we hope to welcome a second Puerto Rican organization to join our Public Policy Council. I am grateful to have had the opportunity to attend Lazos, to see old friends and meet new ones, and to learn more about the needs of people living with and affected by HIV in Puerto Rico, and to fuel my motivation to support the response to the HIV epidemic on the island. AIDS United’s mission is to end the AIDS epidemic in the United States and this includes Puerto Rico. We will not end this epidemic in the United States if the people of Puerto Rico are left out or left behind. *These grants are generously supported by AIDS Resource Center of Wisconsin, Elton John AIDS Foundation, Gilead, Health Resources and Services Administration (HRSA), H. van Ameringen Foundation, Howard Brown Health Center, Irene Diamond Fund, Johnson & Johnson, Janssen Therapeutics, Levi Strauss Foundation, Open Society Foundations, and ViiV Healthcare.